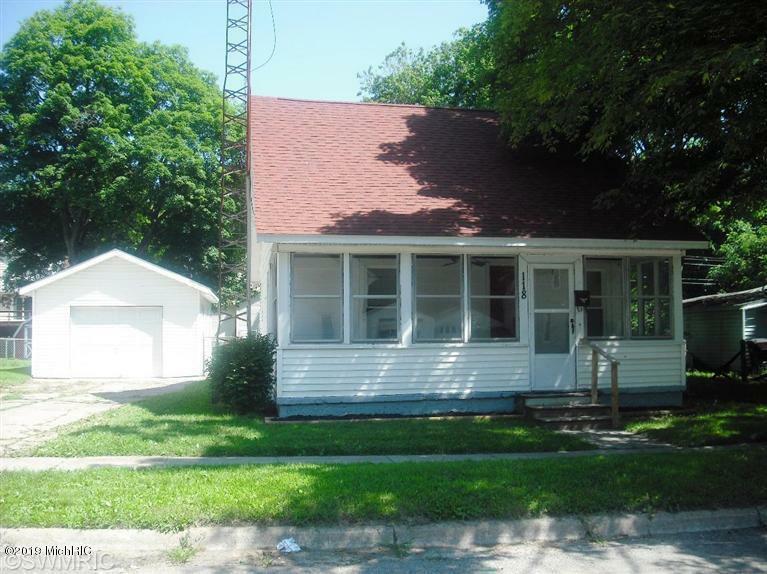 Beautifully renovated home in downtown Buchanan. Inside you will find quaint cooking kitchen with new wood flooring and cabinetry, with great views of the large fenced in backyard. Large family room has brand new carpeting with original hardwood flooring found beneath if Buyer chooses to restore. Main level bath has been completely remodeled with all new ceramic tile flooring, vanity, lights and plumbing. Main level bedroom with descent sized closet plus large bedroom upstairs with cedar lined closet and separate heat. Room could be divided in to two rooms if Buyer needs additional bedroom. Large front three season room on road front for those evening cups of coffee. Promise District, which provides Post-Secondary Education opportunities for qualifying Buchanan graduate students.